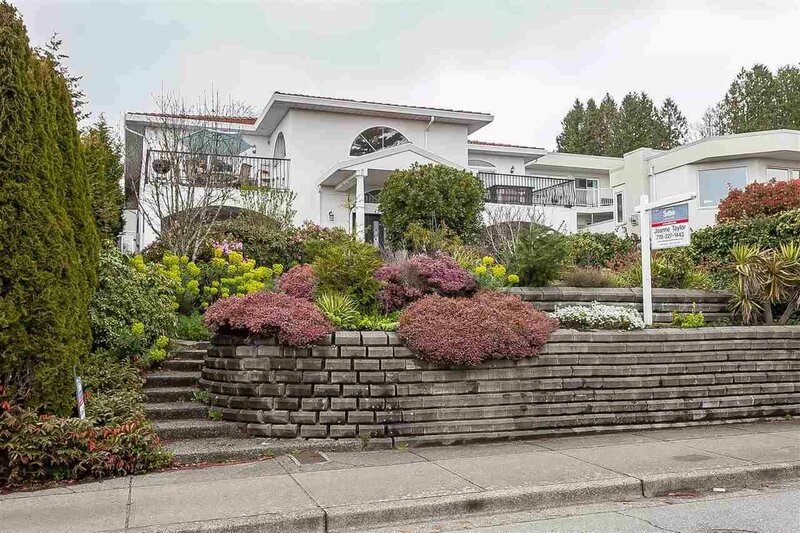 Unique & rare, 31yr old solid built 6116sqft home on a huge 9468sqft ocean view Lot w/60-foot frontage. 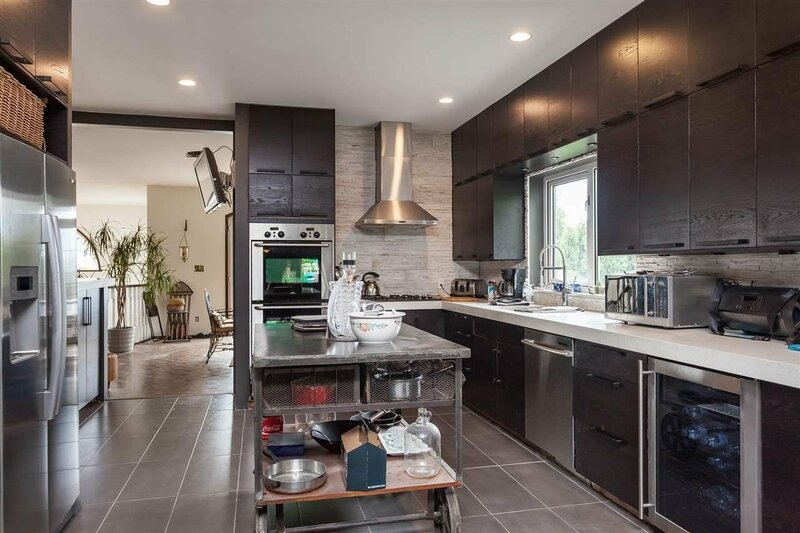 Impressive open floor plan w/enormous living spaces, over 3000sq.ft on each floor, awaiting your renovation ideas! 6 car garage (50ft long) w/space for 5 more cars in driveway. 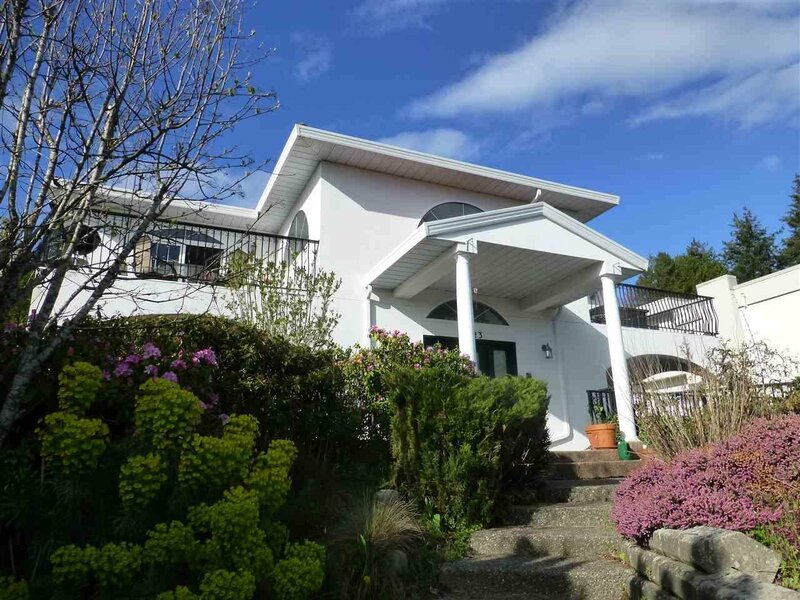 First time on market in 17 years. Grand entry w/soaring 18 foot ceilings, fountain & double staircase. Main floor offers open living & dining areas that open to 2 sundecks to enjoy ocean view. 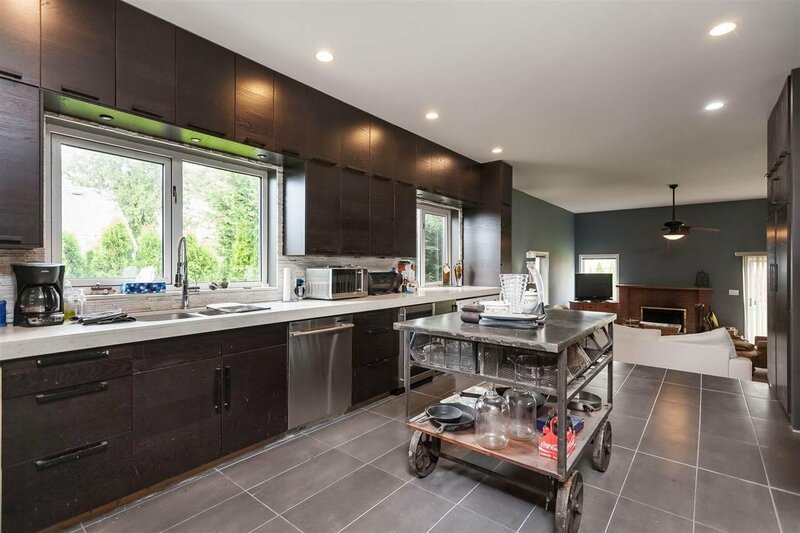 Custom kitchen w/quartz counters, family rm, powder rm & 2 ensuited bedrms. Lower floor offers 1700 sq.ft 2 bedroom suite w/own laundry + private entrance. House needs work but great potential w/amazing floor plan. 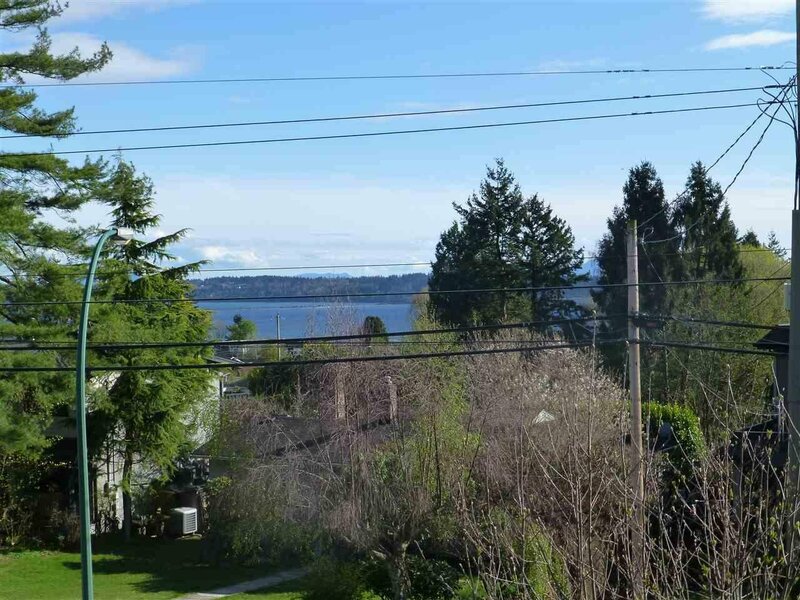 Fabulous central White Rock location, walk to 5 Corners, shops, restaurants, library, hospital & the beach!